When I was first introduced to death metal music it was by bands like Slayer and Venom, two of which it took me years to appreciate on their own. But one thing bands like the aforementioned did accomplish, they lit the spark that spread like wildfire over the genre. 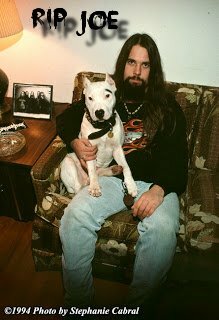 That being said, I started to get on my own two feet about the genre and started to discover the big names like Cannibal Corpse and Suffocation. And lesser common names like Prophecy, Hate Eternal and Broken Hope. The last name I mentioned is the band I want to talk a little bit about today. Where has truly sickening and outright disgusting lyrics, alongside the most inhuman vocals come from? Joe Ptacek and company. The successor to the untouchable Bowels of Repugnance, a feat I thought almost impossible. But Repulsive Conception, lifts its spirits on high. Melodic shifts, acoustic interludes, which have almost become a trademark in their releases. It drives along this mighty beast. Including the contrast of downright evil and evil, into a softer interlude. Conception a blend of memorable riffs and excellent drums and guitar assemblage. I wish the bass could stand out more in this release, but I guess its absence in sound, makes up for it in the other stand out instrumentation. As I think I made it clear this album has some nostalgic value to me. Their newer work is almost becoming a distasteful reflection. It was cool to get the dvd with their new album. 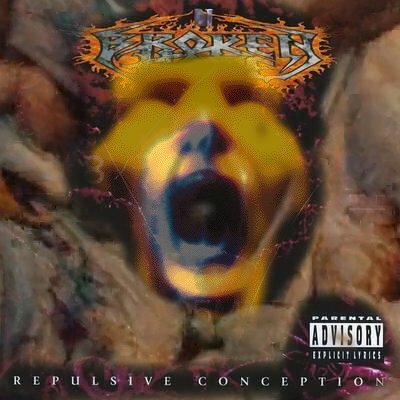 Repulsive Conception is a album not to miss. To me this and the Bowels of Repugnance are their key and elemental releases.